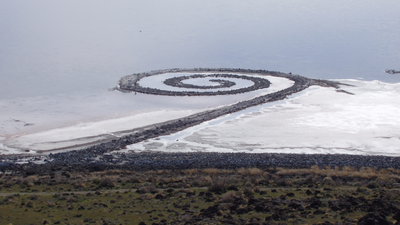 I first visited the Spiral Jetty by Robert Smithson in 2000 with my then friend (now husband). It was completely submerged. We sort of (maybe) could see it under the water from the top of the hill by Rozel Point but it was very hard to make out. The trip out there was an adventure in itself. This was before the road was re-graded and you had to have a high clearance 4-wheel drive just to get there. 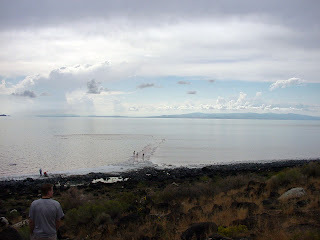 We finally did see the Spiral Jetty two years later in October 2002. It was an incredible experience. I know it sounds cliché, but the Jetty is awe-inspiring. A true work of art that transcends the basalt and water it is made of. 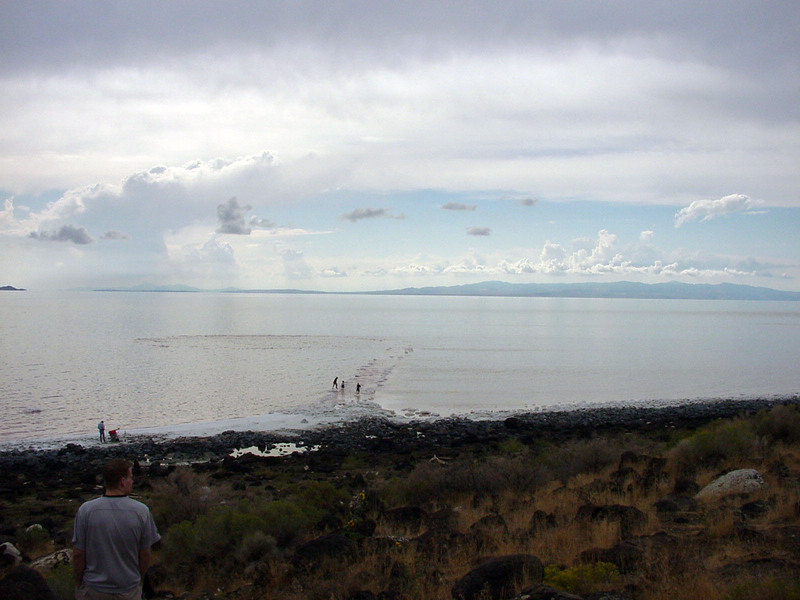 A 1500 foot spiral jetty that juts out into the Great Salt Lake, the Jetty was created in 1970. It is built of mud, salt crystals, basalt rocks, earth and water. This type of art, dubbed "earthworks" by Smithson, emerged in the US in the late 1960s and 1970s. It is an artform created in nature using natural materials. Earthworks often in remote places and left to degrade and change with the landscape around it. Sadly Robert Smithson died only a few years after making the Jetty in a plane crash as he was scouting out another site for an earthwork. The Jetty has inspired many people to make wonderful art. I hope to be inspired many times.